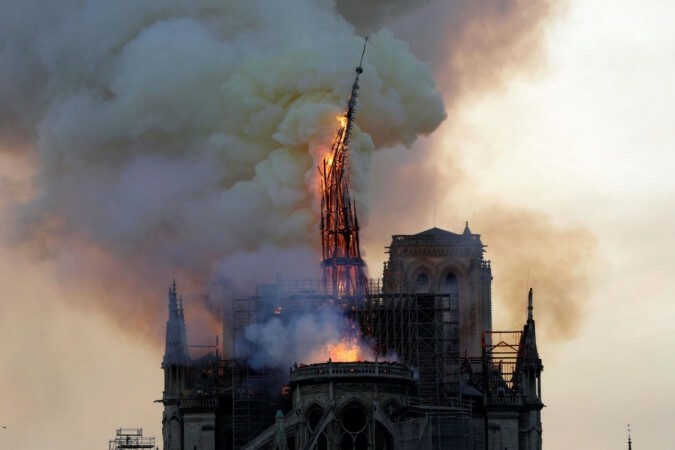 Several blogs and conspiracy theory-based websites have claimed that the fire at the Parisian landmark was set deliberately by some people or even terrorists – pointing out to the Islamic militant group behind the cathedral fire. Just hours after the historic Notre-Dame cathedral was engulfed in fire, several conspiracy theorists and other people have come up with crazy theories on how the church caught fire? The spire of the landmark Notre Dame cathedral collapses. Several blogs and conspiracy theory-based websites have claimed that the fire at the Parisian landmark was set deliberately by some people or even terrorists – pointing out to the Islamic militant group (ISIS) behind the cathedral fire. 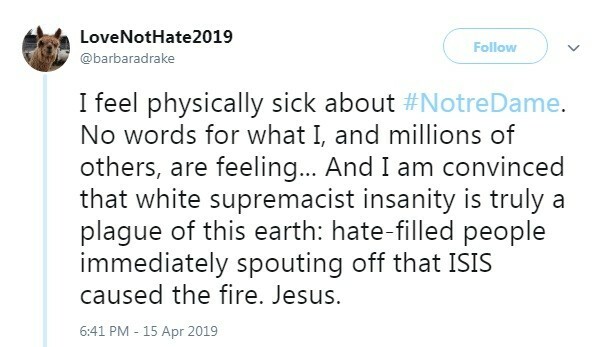 While the focus was mostly on the Muslim community, some of the people have also blamed the Jews for the cathedral fire, saying that the Jew community wants to end Christianity. Some even alleged that the French President Emanuel Macron once worked at a bank owned by Rothschild. All major websites and social media platforms are filled with people who are posting fake news over the incident. 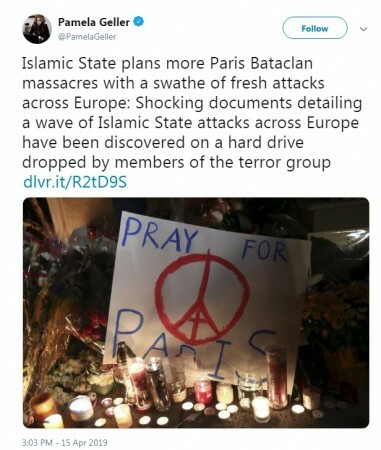 Many people have claimed that "gas tanks and Arabic documents were found in an unmarked car by Paris", which is actually an old incident, where ISIS had a failed attempt on attacking the monument back in 2016. 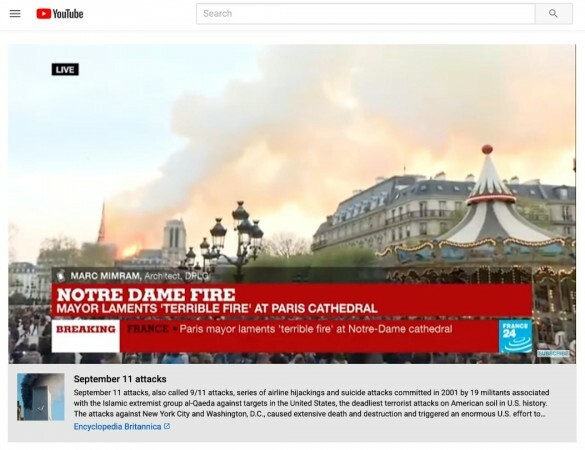 In another major blunder, YouTube accidentally linked the Notre Dame accident with 9/11 attacks of 2001. Many live stream videos were posted on the video-sharing website, linked with information panels that provided details of the attacks on the United States by the terrorist organisation Al-Qaeda. YouTube apologised to their viewers for their mistake for linking wrong information. American channel Fox News had to cut off an interview, after their guest Philippe Karsenty, a media analyst and a controversial figure termed the cathedral fire as a "French 9/11" and declared "the politically correct will try to tell you this is an accident". The channel had introduced Karsenty as an elected representative but later cut-off the interview and its host said that the man does not have any information of any kind about the origin of the fire. 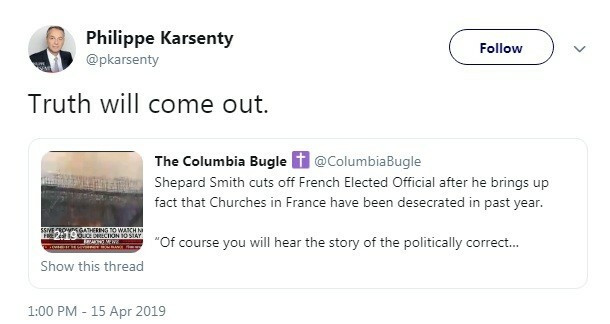 However, Karsenty tweeted from his handle saying that the truth will come out. A fake account was created impersonating the news media group-CNN with the handle named as @CNNpolitics2020 which tweeted out fake news on the fire claiming it as an act of terrorism. 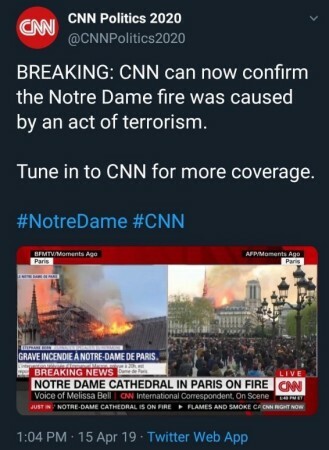 "CNN can now confirm the Notre Dame Fire was caused by an act of terrorism", read the tweet. The tweet was reposted many times and garnered a huge reaction. The account is now suspended. According to the initial reports, Officials said that the fire was "potentially linked" to renovation work in the building. Deputy Interior Minister of France Laurent Nunez said it was too early to say what caused the fire at Notre Dame. The Paris prosecutors have opened an investigation over the incident. ISIS, ISIS, ISIS and only ISIS! After Tik Tok, PUBG to be banned in India? Twitter can't keep calm!